COP24: Raise ‘Melting Himalayas’ Issue, Experts Urge Nepal Govt. “We feel as if we have been penalized for the mistakes we never made…. 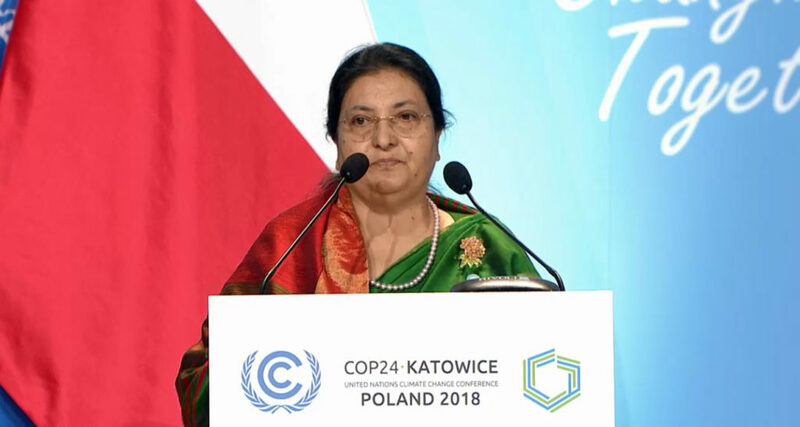 It is incumbent upon the international community to ensure that justice is done,” said Nepal President Bidya Devi Bhandari, speaking at the ongoing #COP24 Climate Change Conference 2018. 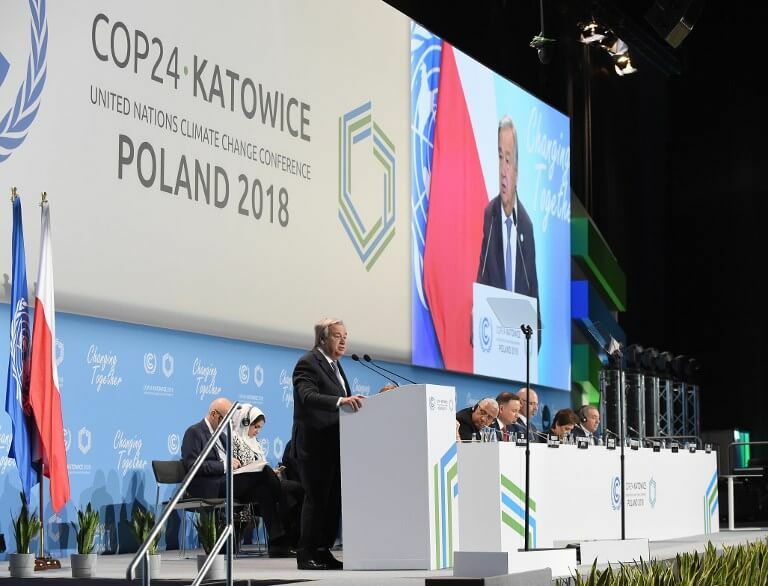 The 24th Parties to the United Nations Framework Convention on Climate Change Conference (COP24) is taking place in Katowice, Poland during December 2-14, 2018. The key objective of this conference is to adopt the implementation guidelines of the Paris Climate Change Agreement,which aims to hold the global average temperature close to 1.5 degree Celsius. Additionally, the event will also witness the political-phase of the Fiji-led Talanoa Dialogue which aims at progress towards the temperature goals mentioned in the Paris Agreement. Considering the #UNFCCC COP24 Summit timelines, it’s just two-weeks-time left for nearly 200 world nations to finalize and present their approach for the implementation of their set goals. At this juncture, the most concerning point for climate change vulnerable nations is the ‘financing part’, which runs in billions dollars. 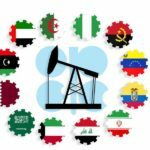 While the Paris Accord mandates developed nations to pledge their financial support to the vulnerable developing countries, denial of the mandate by world power US is creating a matter of distrust among the vulnerable nations. The UNFCCC COP 24 Summit includes a wide range of sessions that seek ways to address climate change concerns of the world nations. 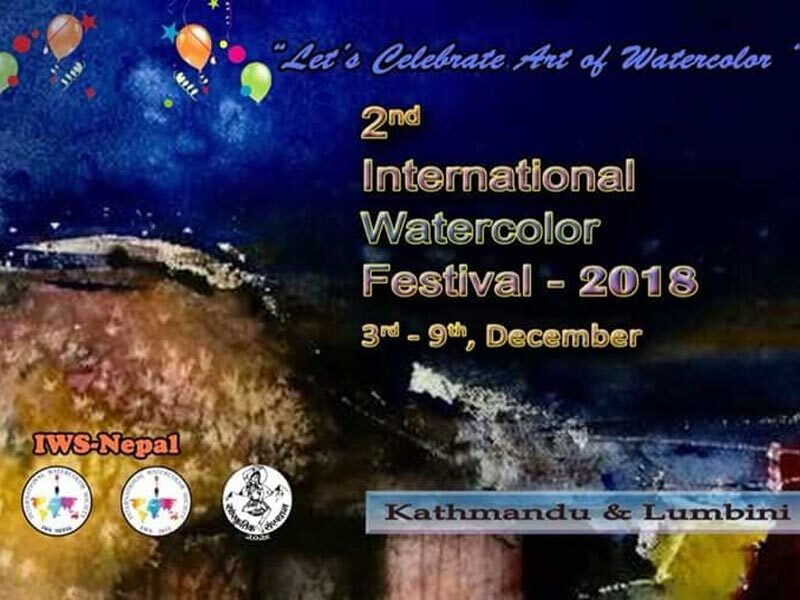 The 13-day event (December 02-14) will see various events of all levels involving delegates, heads of the states, ministries, among others from around 200 world nations. United Nations cautioned the world nations about the ‘growing climate concern’ on the side-lines of the 24th Conference of the Parties to the United Nations Framework Convention on Climate Change or COP24 Summit that kicked off in Katowice (Poland) on December 02, 2018. 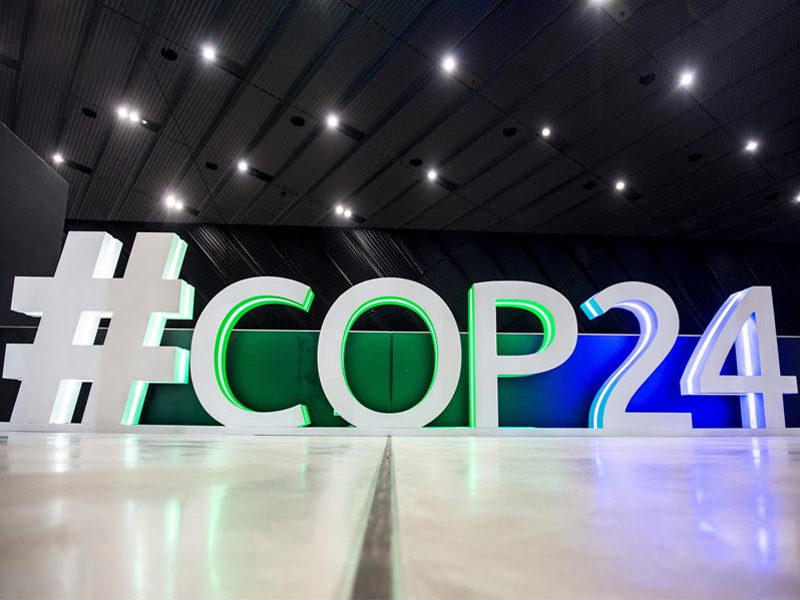 The opening session of COP24 saw delegates from high climate risk-prone countries such as Nepal, Fiji and Nigeria presenting their concerns at the COP24 Climate Talks, which aims to address climate change problems in line with the 2015 Paris Climate Accord. Considering this aspect, the UN Secy-General also called on developed nations to increase their contribution to the change. 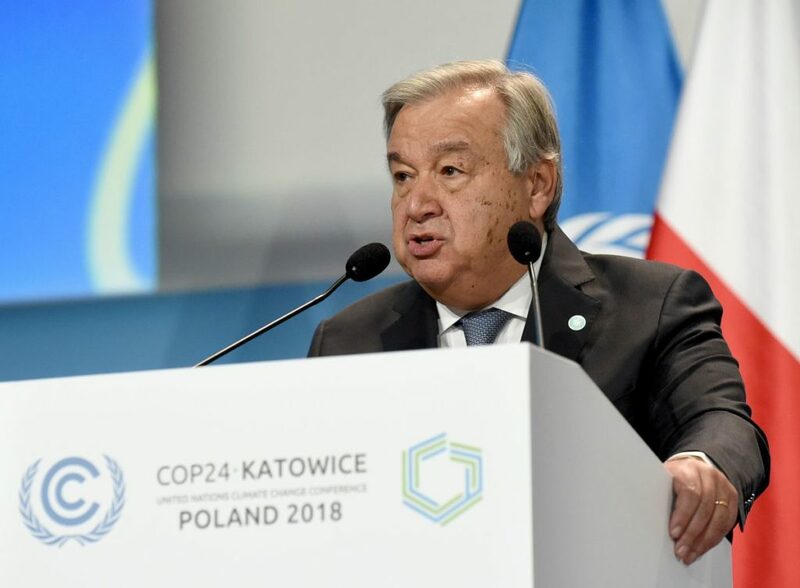 “Collective responsibility to assist the most vulnerable communities and countries- such as small island nations and the least developed countries – by supporting adaptation and resilience,” Guterres told developed nations. On its part, the World Bank already announced USD 200 billion in climate investment for the 2021-25 period on the opening session. As part of the opening session, Poland announced its declaration calling on the states to ‘recognize the challenges faced by sectors, cities and regions in transition from fossil fuels… and the importance to ensure a decent future for workers impacted by the transition’. Environmentalists and discussion negotiators pitching for safe environment made their recommendations to Nepal Government ahead of the country’s participation at the Katowice Climate Change Conference 2018. As part of its preparations to the conference, the government conducted a consultation program seeking experts’ recommendations for the 24th session of the Conference of the Parties (COP 24) to the United Nations Framework Convention on Climate Change (UNFCCC) on December 2-14, 2018. In the meeting, experts urged the government to make efforts to draw financial and technological support from the global community in its fight against climate change. 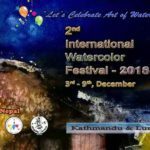 “As one of the most climate change vulnerable countries in the world, we should put in extra efforts for receiving financial and technical support,” said Siddhartha Bajra Bajracharya, Executive Director of the National Trust for Nature Conservation. Bajracharya urged the Nepali delegation to raise the issue of melting Himalayas due to climate change at the COP24 meeting. Meanwhile, Senior Meteorologist with Department of Hydrology and Meteorology Archana Shrestha urged the delegation to maintain strong evidences while presenting at the conference. “For our climate change negotiations, there should be strong backing of science. 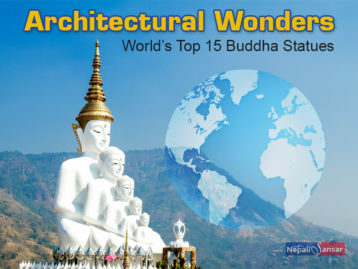 Our discussion at the conference should be based on scientific assessments,” adds Shrestha. “Negotiations have slowed down after the Paris conference affecting only poor and climate change-hit countries like Nepal as it has blocked their access to climate finance support,” says Madhav B Karki, Natural Resource Management and Climate Change Adaptation Specialist and a board member of the Centre for Green Economy Development, Nepal. Kari urged the President Bhandari to present the country’s efforts and transition towards clean energy or electric mobility. “We are facing a challenge accessing climate finance and then taking it to our people at the grassroots level who are highly vulnerable to changing climate,” said Dhakal. “If we don’t receive climate finance for capacity building and strengthening our infrastructure, it could have drastic impacts on our infrastructure and vulnerable communities,” said Maheshwar Dhakal, chief of Climate Change Management Division under the Ministry of Forest and Environment. Dhakal informed that the government has formulated a three-pronged strategy- Building climate resilience, Shifting towards low-carbon economy and Strengthening climate diplomacy, as a means to deal with climate change. In his views on the matter, Manjeet Dhakal, Advisor to Least Developed Countries (LDC) Group said countries like Nepal can gain financial and technical support from the international community by being associated with LDC and G77 members such as India, Saudi Arabia and most of the Latin American countries. Presenting all the climate change challenges, Nepal is coming up with a Status Paper for COP24 with a list of all possible climate change impacts to the mountainous nation, its challenges, policies & programmes implemented in the process. President Bidya Devi Bhandari is leading the Nepali delegation to the Poland Conference.